We are often asked how to plan for the occurrence of a disabling event or accident and how to make sure loved ones receive the degree of health care they desire. A popular tool for communicating to your doctors and family upon the occurrence of a disabling event is a health care directive. What It Is: Also known as a living will or health care power of attorney, a Georgia Advance Directive for Health Care (ADHC) allows you to: 1) select a health care agent; 2) communicate with your doctors and loved ones if you have a terminal condition or are permanently unconscious; and 3) choose an agent to act on your behalf if a court determines you need a guardian. Guardians are appointed in the event you become unable to make everyday decisions for yourself. How to Create One: Creating a health care directive in Georgia can be a time consuming process. A health care directive is an extensive legal document detailing who and how will help you if you are unable to do so. The process involves selecting a health care agent and guardian, outlining the types and extent of treatment you want, and defining the amount of power or authority health care agent will have over your treatment. At A. Bishop Law, our Georgia Probate attorney welcomes anyone with any Georgia Will, Estate or Probate questions to Call or Email us today. Please remember that all initial consultations are free of charge. For more information on our Georgia estate planning packages, including a simple will, and health care directive and Georgia power of attorney, please contact our office today at 770-783-5296. 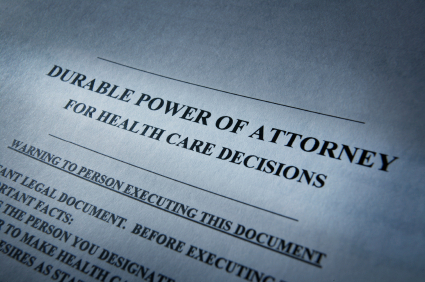 A Health Care Power of Attorney or Health Care Directive helps a loved one make decisions if you are unable. About the attorney: Anne Bishop is a North Georgia Lawyer with A. Bishop Law and handles matters regarding Wills, Estate Planning and Georgia Probate and can assist clients throughout Georgia including: Hall County (Gainesville, Oakwood, Flowery Branch), White County (Cleveland), Dawson County (Dawsonville), Habersham County (Demorest, Cornelia), and all of Northeast Georgia.